Nationality Criteria: Candidate must be an Indian National. #For IMA: Unmarried male aspirants, who are not born before than 2nd January 1995 and after than 1st January 2000, are permitted to apply. #For Indian Naval Academy: Unmarried male aspirants, who are not born before than 2nd January 1995 and after than 1st January 2000, are permitted to apply. #For Air Force Academy: Candidates should be aged in between 20 to 24 years as on 1st January 2019. It means candidates who are born not before than 2nd January 1995 and after than 1st January 1999 are eligible. If you have a valid and current Commercial Pilot Licence issued by DGCA (India) then you are eligible to apply till 26 years of the age. #For Officers Training Academy—(SSC Course for men): Married or unmarried candidates, who are born not before than 2nd January 1994 and after than 1st January 2000, are permitted to apply. 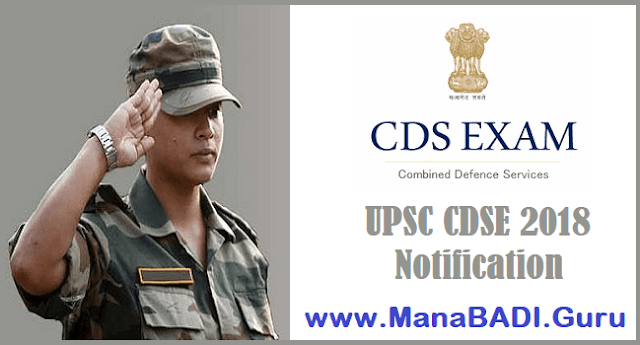 #For Officers Training Academy- (SSC Women Non-Technical Course): Candidates should be born not before than 2nd January 1994 and after than 1st January 2000 to become eligible under this category. acceptable height will be 5 cms less. In case of candidates from Lakshadweep, the minimum acceptable height can be reduced by 2 cms. (e) Rope Climbing : 3 to 4 metres. TIRUPATI, THIRUVANANTHAPURAM, UDAIPUR AND VISAKHAPATNAM. Interview for intelligence and personality test. #All the questions will be objective type only. #Candidates will find the question papers of General Knowledge and Elementary Mathematics in English as well as Hindi language. #Candidates have to write the question paper by their own hand. Under no circumstances, they will be allowed to get help from the scribe. #A calculator cannot be used for answering questions.